The document covers user requirements for the UMOBILE architecture, from the perspective of the end users. The goal is to ensure that there is an alignment on DTN as well as ICN requirements for end users, in order to support information or data-­‐centricity. 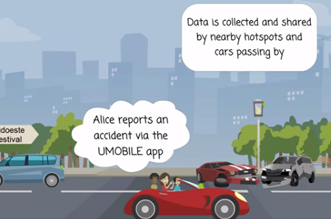 UMOBILE project has been presented at the COPELABS Openday event on June 18th, 2015, Lisbon (Portugal). An animated video show one of the possible application of the novel architecture: microblogging in an intermittent connected internet. The presented poster, the disseminated abstract and video are available for download here. PhD Liang Wang, Research associate at Computer Laboratory, University of Cambridge (UK) held a presentation on "Service Centric Networking for the Developing World" at Cosener's 2015 (Next Generation Networking, Multi-Service Networks workshop) in Oxford. 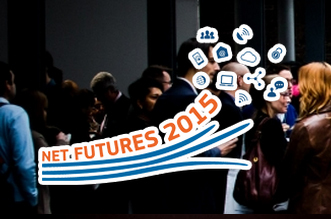 UMOBILE Project Coordinator, Prof. Tsaousidis, presented UMOBILE project in the concertations meetings (concertation meeting) of Net Futures 2015 Conference (Net Futures 2015) on 25/3/15. Paulo Mendes, vice-Director of COPELABS and SITI coordinator, has presented UMOBILE project during SITI meeting on Feb 19th 2015, in Lisbon. Download the presentation here.